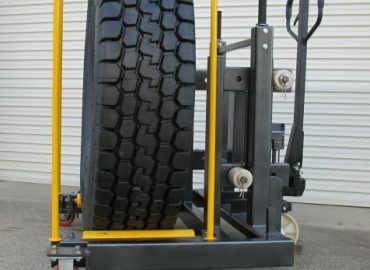 Designed to assist with the fitment and removal of heavy OTR wheel assemblies. 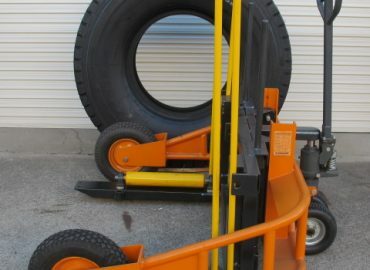 The pallet jack style steering arm offers excellent direction and load control. 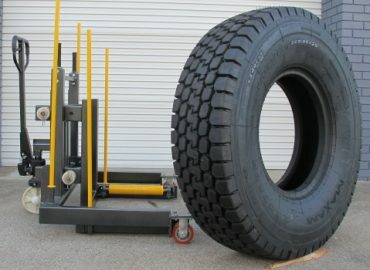 The tyre / wheel lifting arms have large ball bearing rollers, to allow for easy tyre rotation and wheel stud alignment during vehicle fitment. 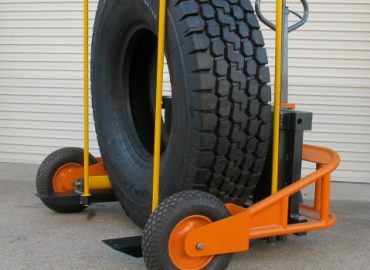 The wheel assembly is secured on the rollers by Four drop in – lift out stabilizer bars. 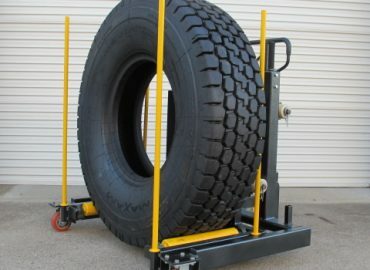 H/Duty steel construction, powder coated for weather protection. All moving parts have serviceable quality grade bearings. RLM offer back up support – service and spare parts. H1000 model is designed for a firm, even and level surface only. 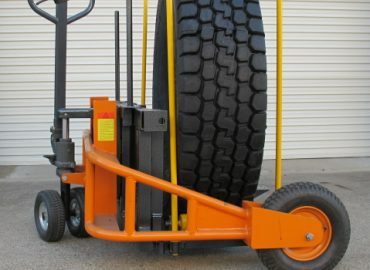 H1000RT model is designed for broken uneven ground.